thinkWhere is supporting the Digital Scotland Superfast Broadband programme. 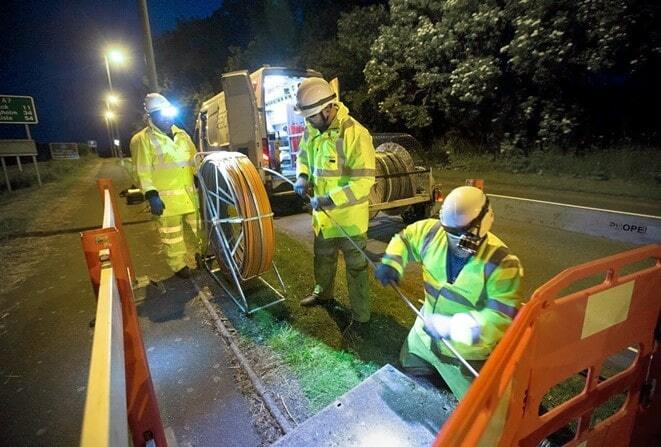 The ambitious infrastructure programme, designed to maximise the coverage of superfast broadband across Scotland, recently announced that it has achieved its target of 95 per cent fibre coverage. Underpinning work on the Digital Scotland Superfast Broadband (DSSB) programme, thinkWhere provided a range of services including an extensive address matching exercise, the implementation of a cloud-based Geographical Information System (GIS) and bespoke training. Digital Scotland funding partners include the Scottish Government, Highlands and Islands Enterprise, BT Group, the UK Government through Broadband Delivery UK (BDUK), local authorities and the European Regional Development Fund. The GBP 428M DSSB programme is helping to bring high speed broadband to Scotland and is one of the most ambitious infrastructure programmes in Europe. Despite the national scale of the project, effective programme management is based on the ability to implement and efficiently use granular information on individual premises. In April, the programme announced that more than 95 per cent of homes and businesses across Scotland can now access fibre broadband. Combined with commercial coverage, the DSSB programme exceeded its target of 95 per cent on schedule. thinkWhere was initially awarded a contract to undertake quarterly address matching exercises for the DSSB programme. In practical terms, the Scottish Government receives ongoing updates to a list of addresses that have been fibre enabled as part of the DSSB programme. The address matching service provided by thinkWhere has allowed the programme to match premises listed by Openreach to the address database used by Scottish Government. As part of this work, the need for a mechanism to share the outputs of the Address Matching exercise, along with other spatial data held by Scottish Government, was identified. thinkWhere’s cloud-based GIS, Location Centre, was implemented, giving internal programme management staff access to address-related information. The use of spatial data and mapping has been found to be a useful way to bring together a variety of information on digital connectivity to inform the programme and its stakeholders. Location Centre is currently being used to support a wide variety of programme management tasks including enquiries management, stakeholder engagement, and to support analysis and decision-making in relation to infrastructure deployment. As programmes are managed by individuals working across a range of organisations, being able to share data through a secure but flexible platform, accessible via a web browser, means its use isn’t constrained by specific ICT policies or providers.